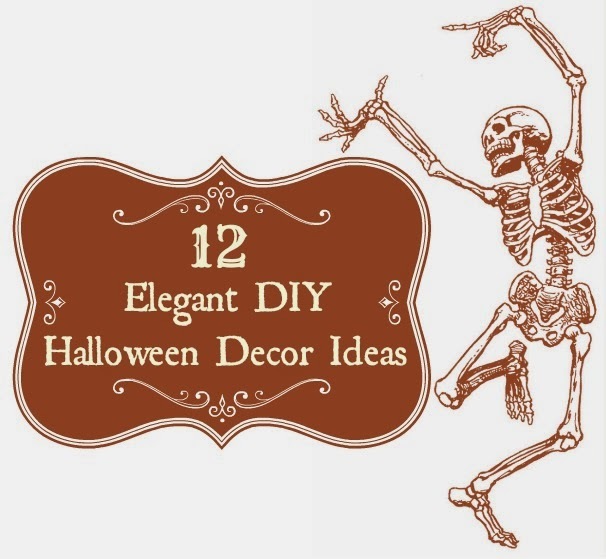 Oh, I love these ideas! I'm ready to decorate,thank you for sharing! 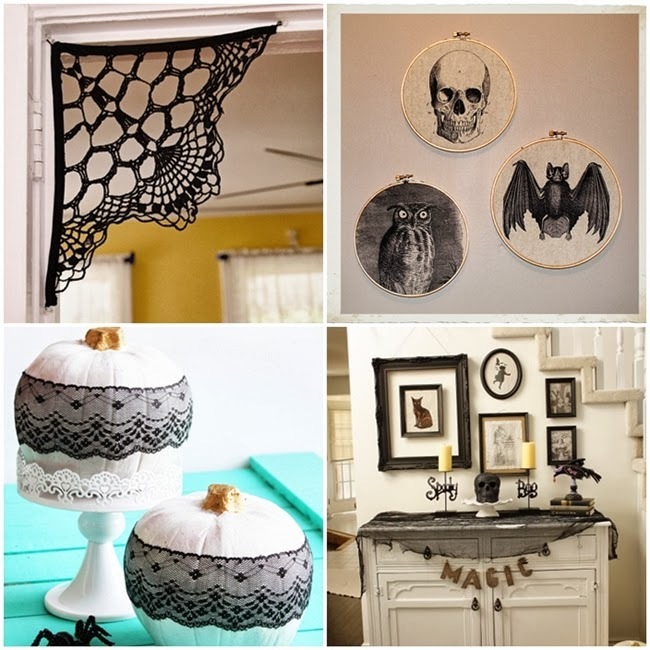 The doily spiderwebs are awesome! It would be a cinch to buy some white and cream ones inexpensively second hand and dye them black at home for this purpose. Such a great idea - as these all are! Excellent, thanks for sharing those! Halloween is my favourite holiday, I get so excited for it and have my costume planned months before the day arrives! The doily lace in the corners of the doorway are particularly lovely. 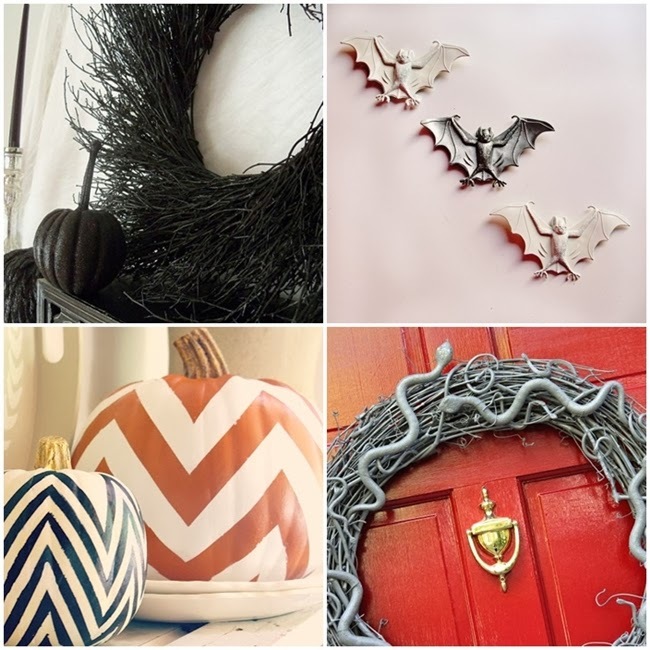 I love the chevron pumpkins! I already follow My Sweet Savannah's blog. She always has great stuff. You have gathered here a wonderful display of ides. 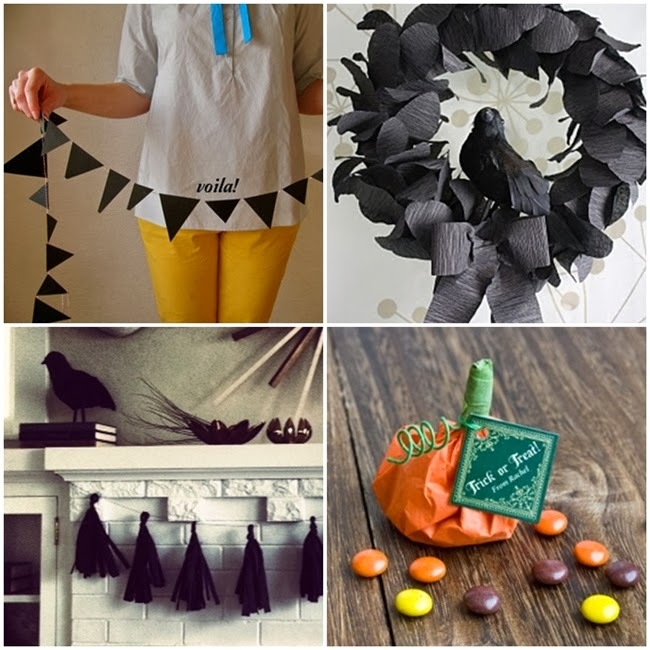 I went on and checked out the Halloween Mantel as it seemed quite intriguing and also the Halloween Fabric Art. They are both something I'd out into consideration.. however, we do not celebrate Halloween the same way you do.